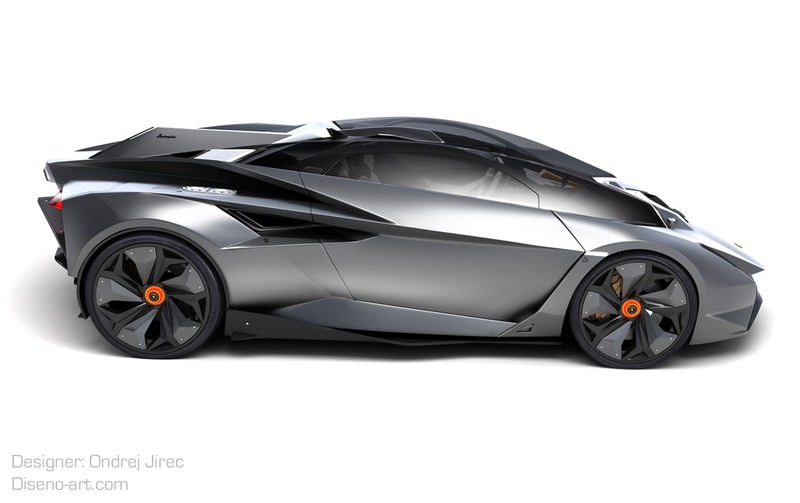 Home » Concept , Lamborghini , Perdigón » Lamborghini Perdigón Design Concept by Ondrej Jirec is Razor Sharp, But is it Too Much? 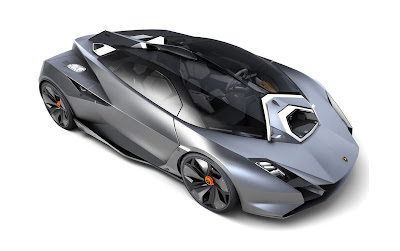 Lamborghini Perdigón Design Concept by Ondrej Jirec is Razor Sharp, But is it Too Much? Ever since Lamborghini unleashed the limited-run Reventon Coupe and Roadster specials back in 2008 and 2009 respectively, the famed Italian automaker turned a fresh page on the styling front using razor sharp lines inspired by jet fighters for its production and concept models such as the Aventador and the Sesto Elemento. 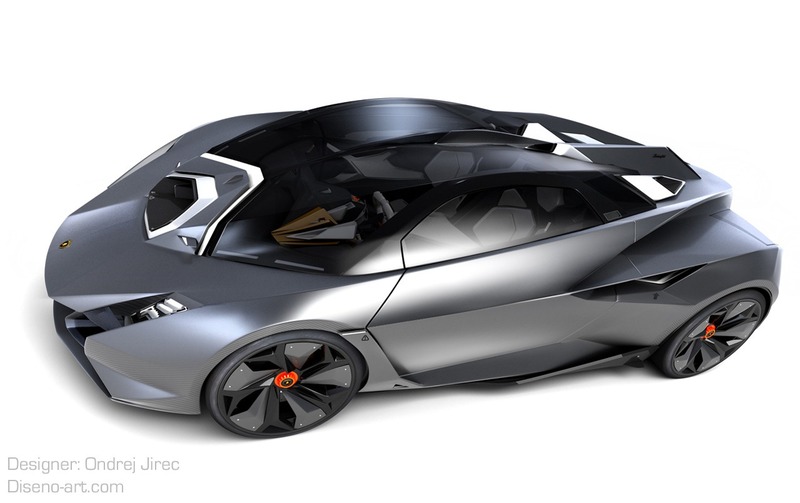 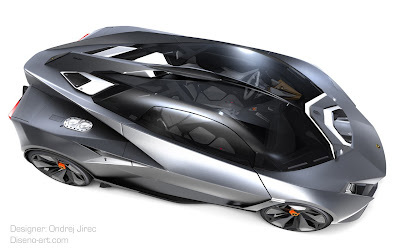 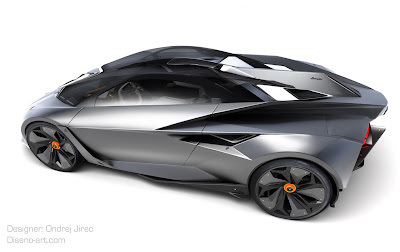 Many design students have adopted the same design philosophy when it comes to creating their own concept drawings for future Lamborghini models, including Ondrej Jirec, a final year Transport Design student at the Art Center College of Design in Pasadena, California. 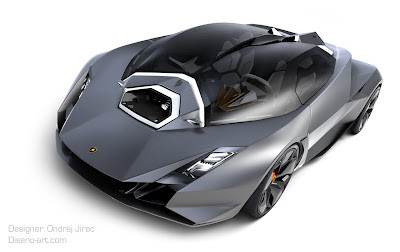 Jirec's conceptual proposal is called the Lamborghini Perdigón and it is named after a famous fighting bull from 1894, whose…head currently resides at the plaza Museum in Madrid. While our first guess would be that the Perdigón looks like a Gallardo replacement in terms of size, it is said to have been designed as a hypercar to compete against the likes of the Bugatti Veyron. 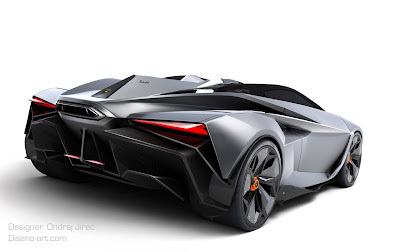 The sharp angles and polygonal surfaces of the body of the concept are inspired by the F117 Nighthawk and F22 Raptor jet fighters, while a standout design feature is the large air intake with a visible fan positioned just below the windscreen and which kind of brings to mind the Batmobile from the Tim Burton movies. A full gallery of the Perdigón Concept follows below the break.